Previous image, 61 total items. Next image, 61 total items. 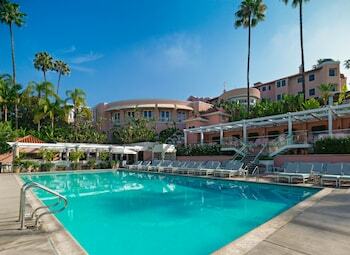 Expedia can help you save loads with a Los Angeles holiday package. With all that extra cash in the bank, you might even like to book a few extra nights. Crafty travellers can save up to 15%* by securing a package deal on Expedia. With just a few clicks, you can arrange everything you need for your next adventure via our extensive database. And — with more than 400 partner airlines and 321,000 properties from all over the world, you'll have the flexibility to pick and choose! You don't have to worry about postponing your family's holiday plans, as we don't charge additional cancellation fees for almost all of our reservations. We have all the hot sightseeing tips for your upcoming trip to Los Angeles. Grab your organizer and get ready to start working on your itinerary. 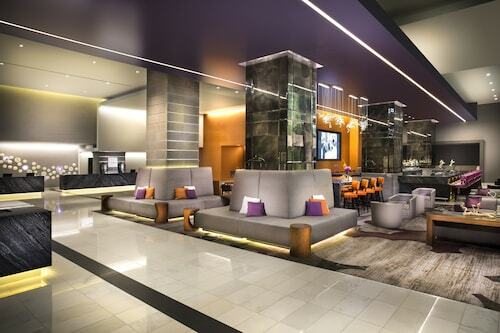 Trust us, you're going to love visiting the Dolby Theatre and the TCL Chinese Theatre. These iconic attractions will take your trip to Los Angeles to a whole new level. Boasting tourist attractions such as The Grove and Griffith Observatory, there will never be a boring moment in this energetic metropolis. Once you've finished exploring those, head onward to the Los Angeles County Museum of Art and the California Science Centre. Theatre can challenge our expectations and asks us to aspire to greater things. Get tickets to a production at Microsoft Theatre and open your mind to another way of thinking. Visitors in this destination are spoilt for choice. If you love your tunes performed live, purchase front-row tickets to an electrifying live concert at Walt Disney Concert Hall. It will certainly be one of the high notes of your travels! Still have some time on your hands? Looking to take in a conference or other event while you're visiting the area? Check the calendar at Los Angeles Convention Centre and find something that captures your interest. 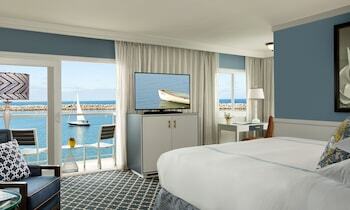 No matter how plush your hotel room is, don't spend your holiday stuck in your room or lying by the pool. There are countless epic experiences to be had! For even more options, take a look at our Los Angeles things to do page. 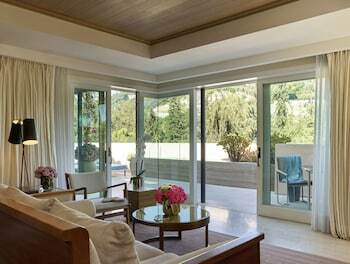 Though Los Angeles does have around 151 properties to pick from, it's always a smart move to book a room early. Not sure where to begin? Expedia is here to help out with your next luxury getaway or cheap holiday. 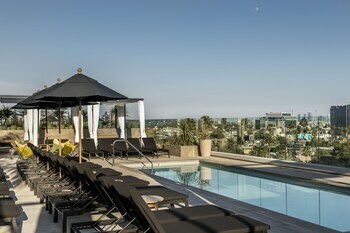 Kick-start your search for a luxurious Los Angeles base by browsing the latest offers at The Ritz-Carlton, Los Angeles (900 W. Olympic Blvd) and the LEVEL Furnished Living Suites (888 S. Olive St). If you don't fancy coughing up such big bucks, why not spend your evenings somewhere more economical? 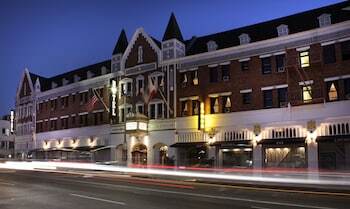 Take a look at the Hollywood Celebrity Hotel (1775 Orchid Ave) or the Highland Gardens Hotel (7047 Franklin Ave). Los Angeles International Airport (LAX) is the starting point for most visitors taking a trip to Los Angeles. It's located 11 miles (18 km) from the heart of town. *Savings based on all holiday package bookings with Flight + Hotel on Expedia.com from January through December 2017, as compared to price of the same components booked separately. Savings will vary based on origin/destination, length of trip, stay dates and selected travel supplier(s). Savings not available on all packages. For Free Flight or 100% Off Flight deals, package savings is greater than or equal to the current cost of one component, when both are priced separately. Disneyland® Park’s neighbor is a celebration of all things California, and gives guests the chance to experience the newest generations of Disney characters and magic. It’s not enough to have your name in lights – in Hollywood it has to be set in concrete too! Go behind the scenes of one of Hollywood’s oldest studios and give yourself a starring role in the action adventure of a lifetime! This beachside playground has been a local favourite for more than a hundred years. What started out as a berry stand in the 1920s has evolved into a world-class theme park and water park, with festivals and events year round. The eclectic tastes of its wealthy founder are reflected in the paintings and furniture on display in this ground-breaking museum. LA has more than its fair share of stars, but the natural wonders of the universe outshine the film variety at this famous observatory. Discover the undersea secrets that lurk beneath the waves of the Pacific Ocean at this Long Beach favourite. This newly transformed cultural powerhouse now has even more space to display its fine collection of ancient and modern art. Tacky and wacky by turns, this sun-drenched strip of sand is a favourite playground for city-weary Angelenos. Listen to the Los Angeles Philharmonic Orchestra in this concert hall recognized as an internationally renowned architectural landmark. The bones of prehistoric Los Angeles wildlife have been preserved for posterity in this unusual natural phenomenon. This historic battleship has entered a new chapter in its illustrious career as a floating maritime museum. One of the largest urban parks in the United States is renowned for its exceptional observatory and large zoo. If you want to shop and dine in one convenient location, but still enjoy the sunny weather of Los Angeles, visit this outdoor mall and entertainment center. Fame, fortune and fashion all come together in this small uber-trendy area that’s one of the world’s premier shopping districts. Located just west of downtown Los Angeles, this iconic southern California beach is a haven for swimmers, surfers, beachcombers and fitness enthusiasts. Completed in the early 20th century, this building houses the mayor’s office and meeting chambers of the Los Angeles City Council. This historic shopping complex attracts locals and tourists, who come to snack, browse and people-watch among the stalls. Marvel at this museum’s exquisite collection of art, including ancient Southeast Asian artworks, sculpture gardens and exhibits of Europe’s greatest painters. Discover an aquarium with a giant kelp forest, an actual space shuttle and numerous educational displays and exhibits inside this remarkable facility. This multipurpose sports arena has hosted some of the world’s biggest musical acts and is home to two National Basketball Association teams. This avenue in Hollywood is one of the most famous shopping and entertainment strips in Los Angeles with a range of stores, restaurants and clubs. Located between Los Angeles and Palm Springs is a city of eclectic attractions with outdoor pursuits, historic monuments, big-brand shopping and world-famous wines. Beautifully landscaped grounds surround this historic mansion in glamorous Beverly Hills, where visitors sneak peeks at the opulence that hides an intriguing past. Bring your camera along to wander this trendy district, which is filled with photogenic patios, repurposed old warehouses and colorful street murals. Browse the Mexican market for souvenirs and food and discover historic buildings in the oldest street in the city of Los Angeles. This multi-generational attraction brings the magic and excitement of some of the world’s favorite literary characters to the U.S. West Coast. 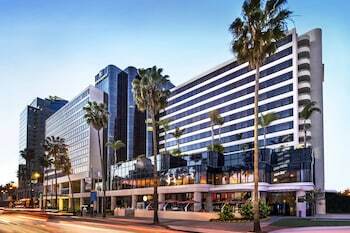 Located in LAX Area, this hotel is 3.1 mi (4.9 km) from Hollywood Park Casino and 3.1 mi (5 km) from Loyola Marymount University. Venice Beach and Los Angeles Forum are also within 6 miles (10 km). 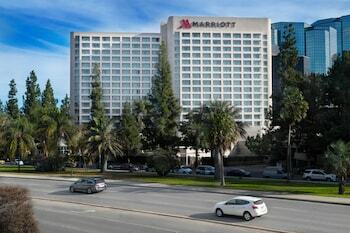 Located in LAX Area, this hotel is 2.7 mi (4.4 km) from Hollywood Park Casino and within 6 miles (10 km) of Los Angeles Forum and Loyola Marymount University. Manhattan Beach Pier and Dockweiler State Beach are also within 6 miles (10 km). 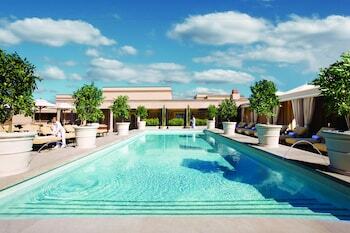 Located in LAX Area, this hotel is 2.3 mi (3.8 km) from Hollywood Park Casino and 3 mi (4.8 km) from Los Angeles Forum. Loyola Marymount University and Manhattan Beach Pier are also within 6 miles (10 km). 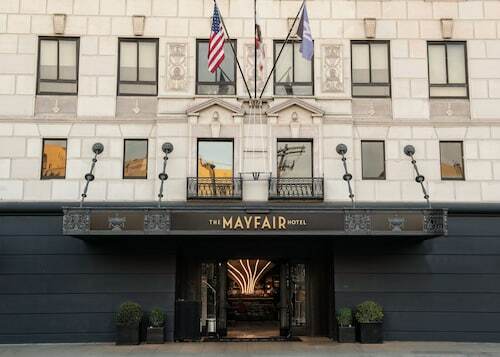 This family-friendly Los Angeles hotel is located in the historical district, steps away from Hollywood Wax Museum, Hollywood and Highland Center and El Capitan Theatre. Universal Studios Hollywood™ and Warner Brothers Studio are also within 6 miles (10 km). 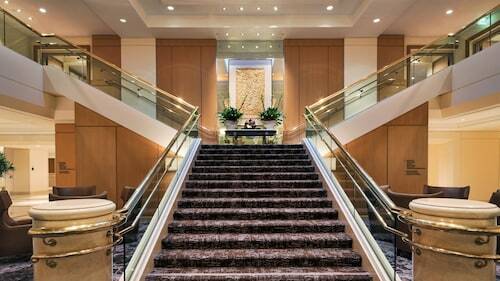 Located in Downtown Los Angeles, this historic hotel is within a 15-minute walk of Good Samaritan Hospital, Los Angeles Convention Center and Microsoft Theater. L.A. Live and Grammy Museum are also within 15 minutes. 7th Street - Metro Center Station is 12 minutes by foot and Westlake - MacArthur Park Station is 13 minutes. 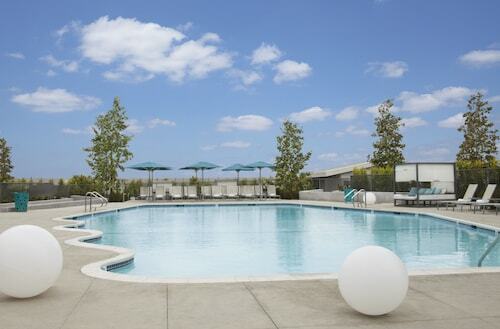 This eco-friendly hotel is located in Los Angeles (LAX Area), near the airport, Loyola Marymount University, Los Angeles Forum and Hollywood Park Casino. Local attractions also include Dockweiler State Beach. 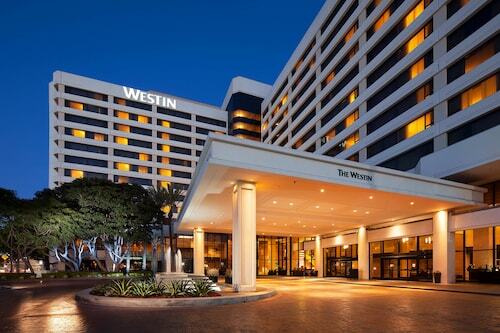 Located in LAX Area, this hotel is 1.9 mi (3.1 km) from Hollywood Park Casino and 2.6 mi (4.2 km) from Los Angeles Forum. Venice Beach and Loyola Marymount University are also within 9 miles (15 km). 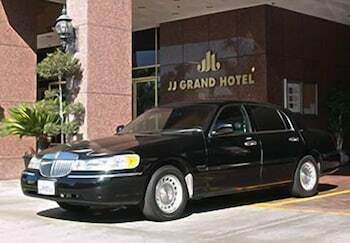 Located in LAX Area, this hotel is 1.7 mi (2.8 km) from Hollywood Park Casino and 2.4 mi (3.9 km) from Los Angeles Forum. Loyola Marymount University and Manhattan Beach Pier are also within 6 miles (10 km). Gatwick - Los Angeles Intl.